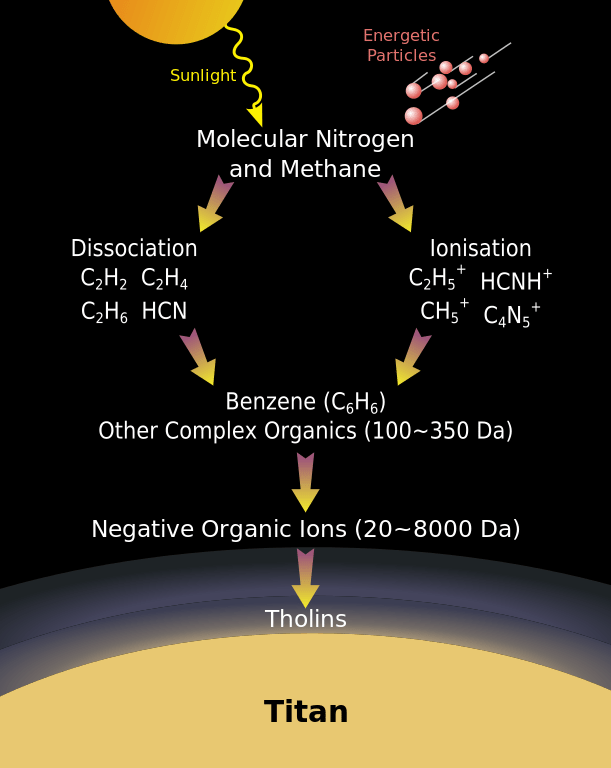 Tholins are a broad class of complex organic molecules. They are typically formed when ultraviolet light strikes simple organic molecules such as methane. 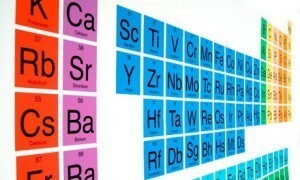 They were first categorized by Carl Sagan when reproducing the Miller-Urey experiment. While tholins don’t exist naturally on Earth since our high-oxygen atmosphere tends to prevent them from forming, they are very common on the cold worlds of the outer solar system. Tholins recently hit the news during the flyby of Pluto. The reddish brown coloring of the dwarf planet is likely caused by tholins on its surface. The molecules also give Titan’s atmosphere its brown coloring. They are suspended in the Saturnian moon’s atmosphere like smog. We’ve found tholins on comets and asteroids, and there’s even some evidence of tholins on planets orbiting other stars. Tholins may have been common on Earth before the rise of free oxygen in our atmosphere about 2.3 billion years ago. 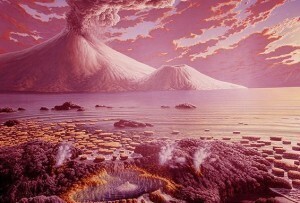 There is some speculation that tholins may have played a role in the appearance of life on Earth. 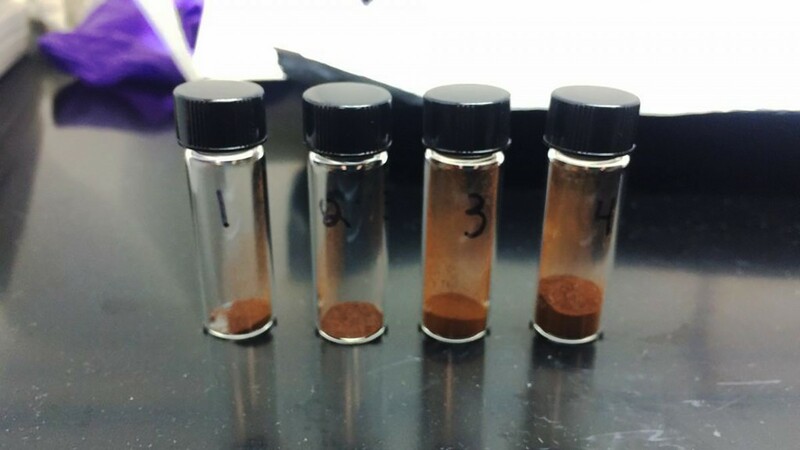 We know, for example, that many soil bacteria can feed off tholins as a source of carbon. Since tholins absorb ultraviolet light, they could also have played a role in protecting young Earth from UV rays that can tend to harm fragile living organisms. I have not checked the references for an earlier paper..